Luddenden Foot Civic Centre, Station Road, Luddenden Foot, was first opened 100 years ago this month. To celebrate this Luddenden Foot Community Association are inviting everyone to an exhibition of the life of the building and the village on Friday, December 19, and Saturday, December 20, from 11am to 3pm. The building opened in 1914 as young men from the village and all over the country were heading to the trenches during WW1. At that time the building housed a billiards hall and was a meeting place for soldier’s wives and families. Over the years the building has provided public baths, a baby clinic and a polling station for elections. Today the building is used by Luddenden Valley Playgroup, Allsorts Social and Recreational Club, Luddenden Foot United Reformed Church, a Boys Brigade company and three football teams. It also hosts pilates sessions and childrens parties. 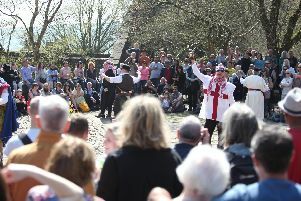 Robin Murray, chair of the Trustees of Luddenden Foot Community Association said: “It is wonderful that we are able to celebrate the centenary. Entry to the exhibition is free and refreshments will be available on both days. www.luddendenfoot.org or contact the secretary, Mrs Heather Hartwell on 01422 885542.